The Lemax Cozy Christmas Eve shows how sweet and cozy a night at home during the holidays can be. 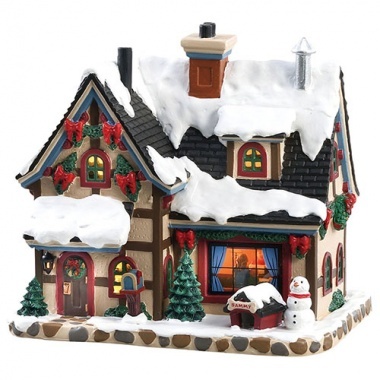 The house is covered with snow and decorated completely for the upcoming holidays. The windows light up to create a soft glow.